Light and refreshing, this is what's it all about. 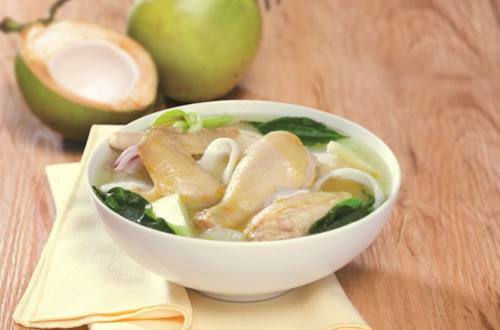 With Knorr Chicken Cubes and coconut, chicken never tasted this good. 1 This is literally a one pot dishes that cooks in an instant. All you need to do is to put all the ingredients in a wok or shallow pan and bring this to a boil. Once boiling, bring to a simmer over low heat and cook for about 45 minutes or until the chicken is cooked through. After you’ve done all of this, you may now finally enjoy this delicious dish. Serve it to your family and you will be a kitchen hero!